Skin Aging…. Inevitability or Preventable? Spring is in the air, the sun is shining, and the birds are chirping in the morning again! Time to visit our skin, the body’s largest organ and protection from the environment and its toxins. Remember that everything you put on the skin eventually ends up in the body! One of the most important skin care goals is improving the health and thus the appearance of the skin. This is done by improving blood circulation and oxygenation of the skin, maintaining the skin’s normal Ph., revitalizing the skin cell membranes, connective tissues, and detoxifying and neutralizing toxins. In addition, paying close attention to what we put on our skin and the toxins in the products we use on a daily basis matter. High end cosmetic companies like Perricone, Neutrogena, and others put preservatives in their products that contain toxins which interfere with all skin physiology. Toxins decrease enzymes and their functions which the body uses to build collagen and elastin, impedes circulation, and nerve communication. These crucial processes are needed for all skin function. These products may not work as well due to these toxic interferences and remember all toxins wreak havoc in the liver, lungs, breasts, and brain. Institutions teaching estheticians about skin care, classify skin according to skin conditions, usually five skin types. These types are dry, oily, aging, acne, and combination t-zone (treatment zones). The fact is that all of the above skin conditions are caused or exacerbated by these same poor habits. Over exposure to the sun, tanning beds, pollutants, toxins, and overuse of toxic skin care products. Overuse of harsh skin treatment procedures, like peels and laser. Lack of adequate exercise and stretching. The skin shows all signs of stress and poor eating –it is said that a healthy gut leads to a healthy body and of course the biggest organ-the skin! Go Green in life and with your beauty regimen - your body will thank you! "Work with nature and normal body function and balance biochemistry." Almost 15 years ago, I was looking for a skin care line to sell in my pharmacy as many women were asking me about their aging skin during their hormone balancing consultations. They were very concerned about their toxic skin care regimens and wanted NON-TOXIC GREEN SKIN CARE! After much research, I decided to design my own line to make sure that my clients could use these products safely and with confidence, adding them to their current beauty/lifestyle regimens without worry. The line is called LabNaturals and is sold exclusively at Murray Avenue Apothecary and fits in beautifully with our role as Pittsburgh’s Only Green Pharmacy and Custom Compounding Pharmacy Boutique. LabNaturals combines the freshest ingredients and essential oils to deliver clean products that are unparalleled in today’s skin care industry. We exclude all parabens, dyes, and chemicals which contaminate your skin and can be detrimental to your overall health. 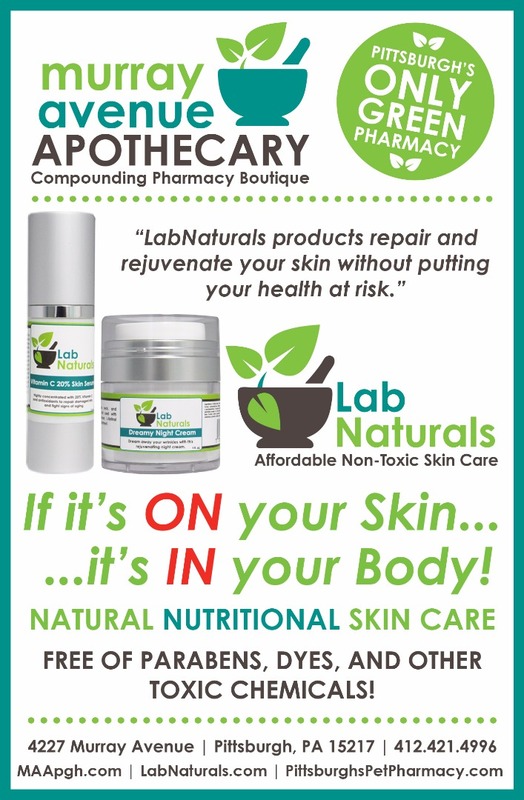 LabNaturals products repair and rejuvenate your skin without putting your health at risk. Read below what our clients had to say about our LabNaturals products. "I've had problems with my skin since I was a teenager. Antibiotics, birth control, over-the-counter and prescription solutions...You name it, I was on it to treat my acne. It wasn't until Susan introduced me to LabNaturals that myself, and my friends, noticed a clear difference in my skin. I tried the full set - scrub, cleanser, lotion, spot treatment, and toner. My favorite product of the group is the scrub. Not only does it make my skin feel smooth but I believe it's reduced the appearance of my scars. I use it everyday before applying make up. It's been almost 11 years since my first acne treatment and this is the first time that I can say I have little to no breakouts. I will never go back to anything else!" 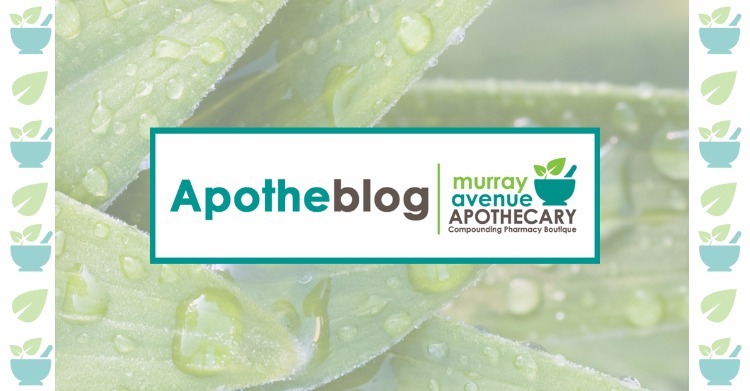 Murray Avenue Apothecary is your destination for health and beauty. Our new skin scanner is here at MAA! Coming soon, Dr. Claudia Ames, PharmD will be scheduling Skin Analysis Consults! Learn what skin type you are and see your skin from a different perspective. Also, coming soon to the Apothecary, a new line of ORGANIC makeup, simple to use, brilliant results!